Ich liebe meinen neuen gestreiften Rock. Er ist so wunderbar frühlingshaft und das Design ist ein wirklicher Hingucker. Heute habe ich relativ schlicht mit einem Jeanshemd kombiniert und meiner Perlenkette von Born Pretty aus dem letzten Post. 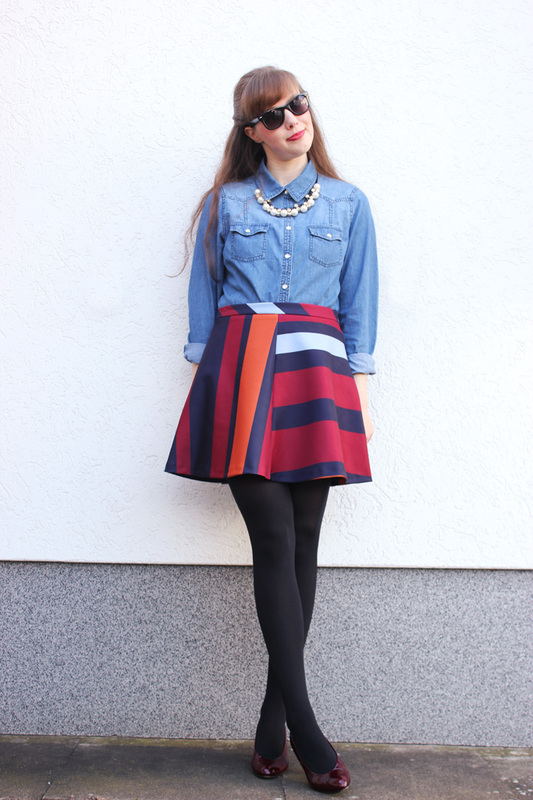 is a great print skirt!, love with denim shirt! Love that skirt with denim!! Your shoes remind me of Dorothy's ruby slippers, I love 'em!! Nice outfit, you look pretty! Those colours are beautiful together. 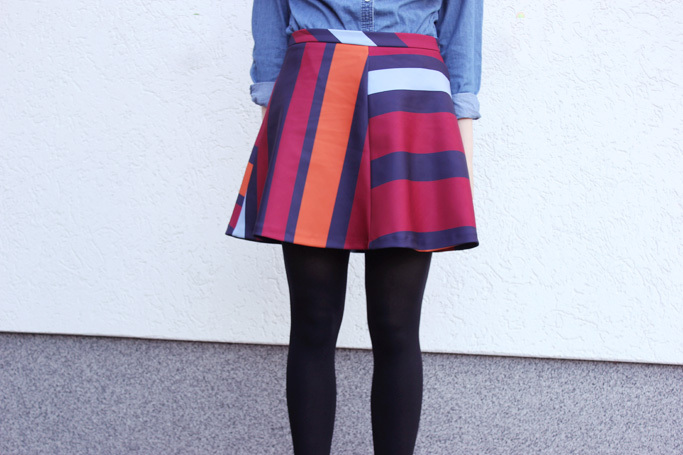 I love the denim shirt with the reds and oranges of the skirt! Love the skirt with the denim top. great look! What a gorgeous outfit! That skirt is so pretty, love your shoes and your shirt as well! They all go so well together! Lovely skirt. Gorgeous prints. The tights are perfect. You look so adorable. so in love with your skirt! it looks great on you! wow I need this skirt in my life it is stunning. The rainbow design is stunning. You look so cute! Love the outfit and the necklace---so preppy! I love the skirt <3 Nice outfit btw!